Where Is the Iconic New York Location of Nicki Minaj's Intimate VMAs/PEPSI® Remote Performance? 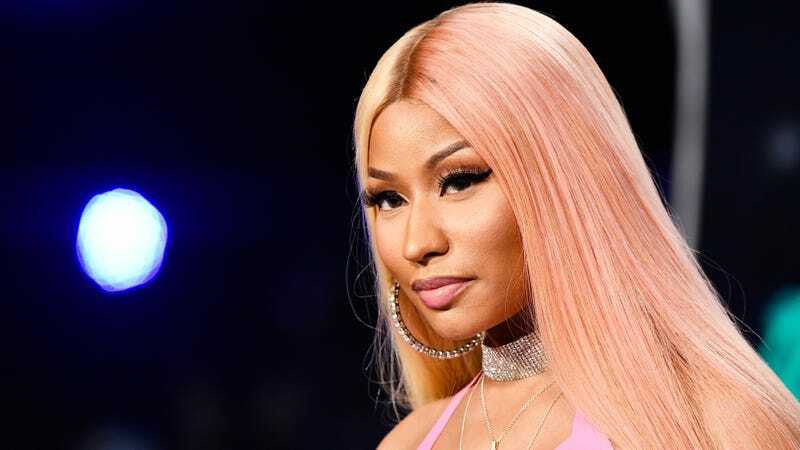 If you’ve been wondering whether Nicki Minaj will be present at this year’s VMAs, the answer is yes and no. How? She’ll be there, sort of, in that she is performing during the awards show, but she won’t physically be there, because she’ll be performing from some other place. Which place? No place. And every place. A press release for the artist’s super-secret surprise performance (presented by PEPSI®) states Nicki’s face will be streamed from an “ICONIC NEW YORK LOCATION” to the millions of people who still watch the VMAs. Hmm, not very helpful. But we have a few hints: It’s iconic, and it’s in New York. Let’s see if we can narrow this down. All possible choices. What do you think?